This year?s EuroMed Postal Joint stamp project is “Houses of the Mediterranean”. 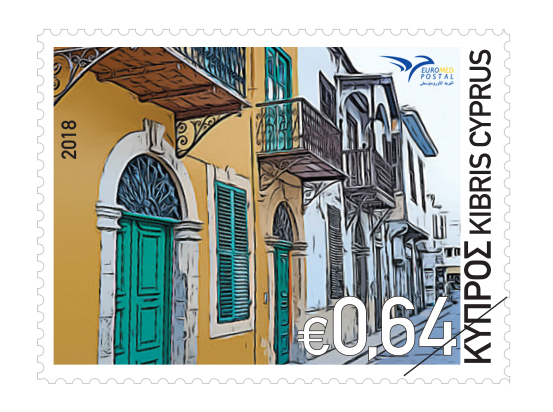 The stamp of Cyprus illustrates a neighbourhood in the old town of Lefkosia with features of traditional architectural heritage. The main building materials used for the walls of the traditional buildings in Lefkosia are limestone or stone and earth blocks. The roofs are usually very thick and made of beams (volitzia), reed mat, and in the upper part there were layers of earth or clay and tiles. Traditional buildings are located in adjacent to the road leaving individual spaces in order to have access to the yard. One of the features was the bay window (sachnisi), a light wooden structure with many windows projecting outwards which was used mainly as a gathering space during winter. 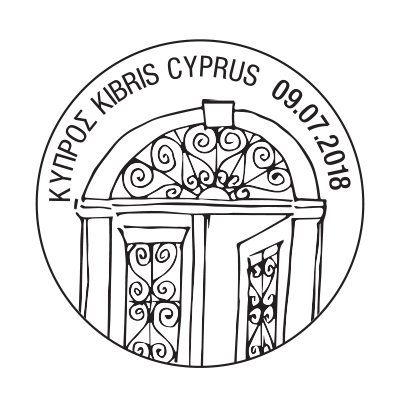 Circulation-Sales : This set circulates on 9 July 2018, and will be available at the Cyprus Post offices through 9 July 2019, unless previously sold out. 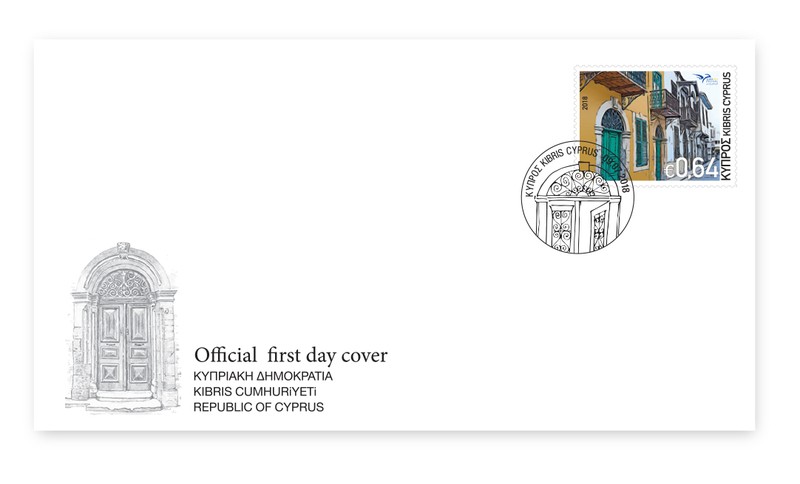 Complete sets will be available at Stamps and Philatelic Service until their withdrawal, unless previously sold out.